When it comes to emer­gency stop devices there is no doubt that the red mush­room-head push but­ton is the most com­mon – they seem to be every­where. The second most com­mon emer­gency stop device is the pull-cord, and like the light-cur­tain in safe­guard­ing devices, the pull-cord is prob­ably the most mis­ap­plied emer­gency stop device. Loc­al reg­u­la­tions may require emer­gency stop pull-cords for con­vey­or applic­a­tions, like Alberta’s OHS Code, how­ever, not every jur­is­dic­tion makes this kind of man­dat­ory require­ment. Always check your loc­al reg­u­la­tions early in the design cycle. 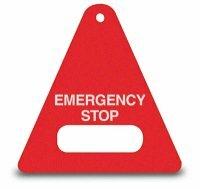 Emer­gency Stop pull-cords are most often used where there are long stretches of machinery between nor­mal oper­at­or sta­tions – think about con­vey­or sys­tems as an example. Bear in mind that emer­gency stop sys­tems are com­pli­ment­ary pro­tect­ive meas­ures, mean­ing that they are inten­ded to com­ple­ment the primary safe­guards. In a situ­ation like that shown below, the primary safe­guards are the fixed guards over the rollers and along the edges of the belt­ing. There is no guard­ing to pro­tect a per­son from being hit or entangled and dragged by mater­i­al on the belt. On the return roller, below the e-stop box and near the bot­tom of the pic­ture, there might not be any guard­ing (in this case it looks like there are enclos­ing guards over the idler rollers.) This may not be a prob­lem, as there is prob­ably no entan­gle­ment haz­ard here. 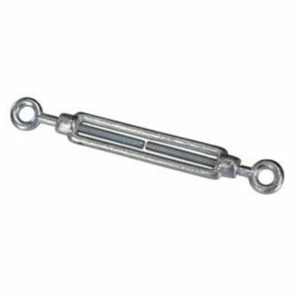 If cloth­ing got wrapped around the idler roller, the roller would likely simply stop as there is unlikely to be enough fric­tion between the belt and the roller to keep it turn­ing. Con­vey­ors aren’t restric­ted to min­ing applic­a­tions like that shown above – they can just as eas­ily be used in short­er or smal­ler applic­a­tions too. The basic idea is to provide a per­son with a way to stop the equip­ment motion from any place along its length. This same idea is some­times used when a work­er could be present at many points along a piece of machinery, with no expli­cit work­sta­tion defined. Each of these stand­ards includes require­ments for the emer­gency stop sys­tems asso­ci­ated with con­vey­or sys­tems. It’s worth not­ing that there are oth­er applic­a­tions for pull-cord emer­gency stop devices that are not con­vey­or applic­a­tions at all. I will look at each of these sys­tem com­pon­ents in more detail in the fol­low­ing sec­tions. The anchor points are not unique oth­er than that they need to be robust enough to with­stand the stat­ic and dynam­ic forces that can occur in the sys­tem. 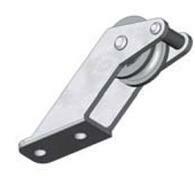 Ring bolts are very com­monly used, along with U-clamps for secur­ing the cable to the anchor. Anchors and switches need not be on the same plane. 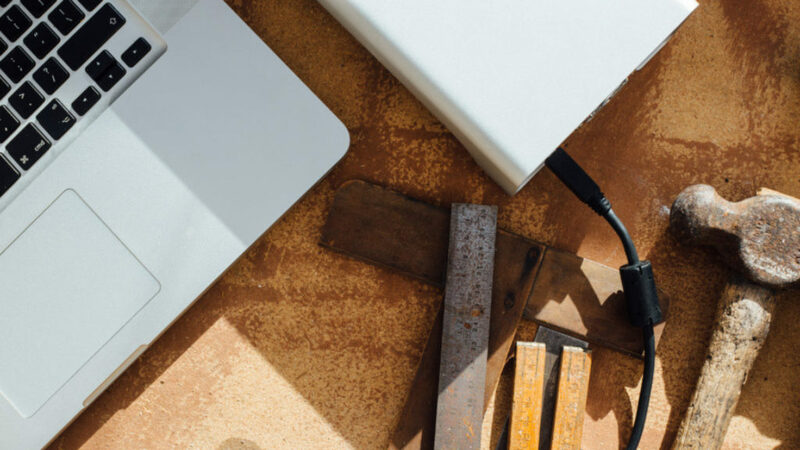 Since the cable is flex­ible, it can be made to turn corners so that it can fol­low the work area. There are spe­cial­ized pul­leys designed to guide the cable around corners that will also ensure that the cable can’t jam at the pul­ley. Usu­ally, this will reduce the run length of the cable because the switch mech­an­ism is only cap­able of sup­port­ing a cer­tain amount of ten­sion in the cable. 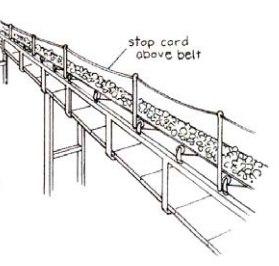 Pul­leys and eye-bolts or guides are used to guide the cable along its length. Guides and pul­lies may have to be installed at cer­tain min­im­um or max­im­um dis­tances along the length of the cable. Con­sult with the manufacturer’s install­a­tion instruc­tions for these kinds of details. Switches used in pull-cord sys­tems are spe­cial­ized, although it is pos­sible to assemble a work­able sys­tem without using them. There are many good reas­ons NOT to do this. I show a couple examples of do-it-your­self arrange­ments and explain why these do not meet safety require­ments. Single cable switches like that shown below are much more com­mon in man­u­fac­tur­ing applic­a­tions and oth­er rel­at­ively short-length applic­a­tions. *Not all stand­ards have the 200 N require­ment, this appears to be unique to Canada. image: Leer­dam Pty Ltd . The cable needs to have suf­fi­cient strength to res­ist break­ing under the required ten­sion for a long time. At the same time, it must be light enough to per­mit the cable run length spe­cified. The cable is cus­tom­ar­ily col­oured RED so that it will stand out against the machine, and the jack­et is designed to pro­tect the cable from cor­ro­sion and dam­age from oth­er envir­on­ment­al effects. Some stand­ards spe­cify a min­im­um break­ing strength of 10x the activ­a­tion force, i.e., not less than 2000 N (450 lbf) *. *this require­ment seems to be unique to Canada. Since the switch has to activ­ate if the cable is pulled, breaks or is cut, the cable can­not be slack when the sys­tem is in the ready state. The ten­sion­ing device can be anoth­er switch as shown in Fig.1 above, or it can be a spring-loaded ten­sion­er or even a coun­ter­weight device. Turn­buckles and adjustable spring loaded devices are the most com­mon type of ten­sion­er. Turn­buckles rely on the spring ten­sion sup­plied by the switch. Dual-cable switches require spring-loaded ten­sion­ers since the switch itself can­not provide the spring ten­sion needed for this kind of applic­a­tion. 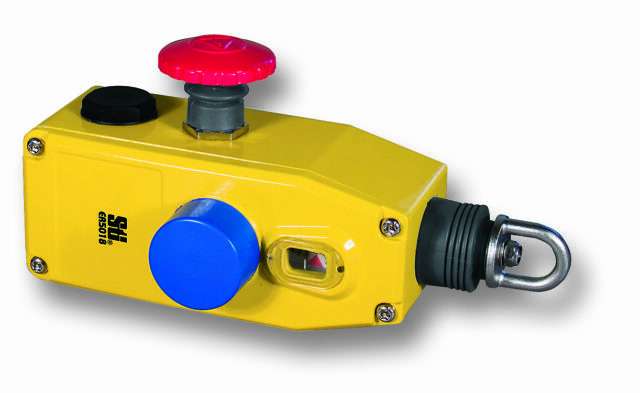 Emer­gency stop devices are required by the stand­ards , ,  to have a RED oper­at­or device and a YELLOW back­ground. With a pull-cord, this can be dif­fi­cult, espe­cially if there is no back­ground that can be col­oured yel­low – think about cables that a strung through the air with no imme­di­ate struc­ture behind the cable. 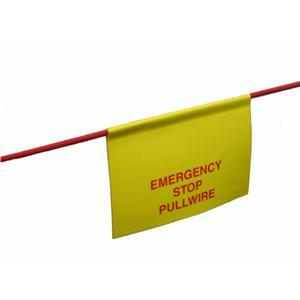 Cables can be fit­ted with flags or handles that are col­oured appro­pri­ately as shown below. The flags can be reflect­ive for use out­doors at night or in low-light con­di­tions. Emer­gency Stop Pull-Cord Handle image: Postal Products Unlim­ited Inc.
Where cables are loc­ated above a con­vey­or line, handles like that shown above can be fit­ted to make it easy to reach the cable and pull it. They also serve to identi­fy the cable’s func­tion. There are likely as many ways a pull-cord install­a­tion can be messed up as there are applic­a­tions, but I thought I might show you a few examples I’ve come across illus­trat­ing the ways this kind of applic­a­tion can go wrong. 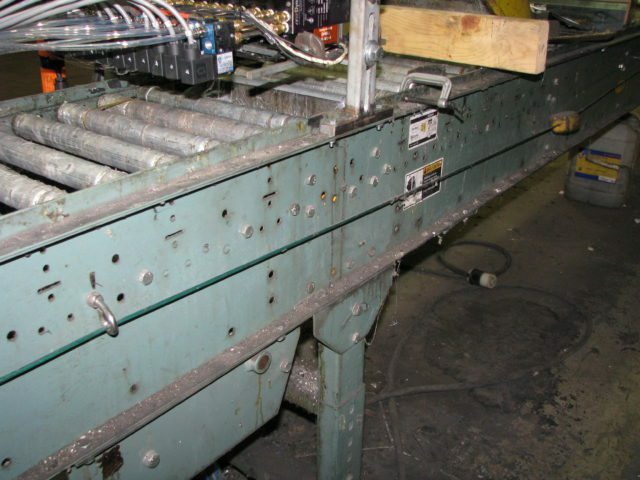 Sludge presses are used in sewage treat­ment plants and sim­il­ar pro­cesses. 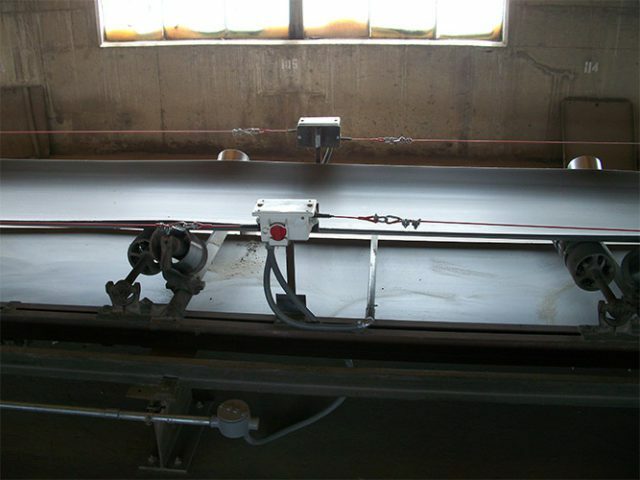 A fil­ter belt moves at a cer­tain speed, and the liquid being filtered is poured through the belt. 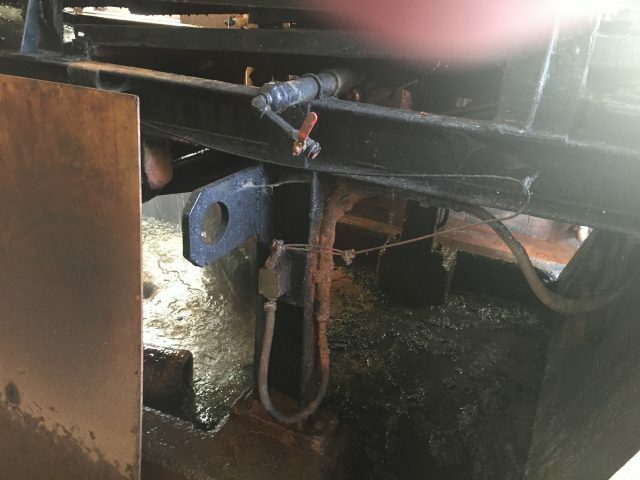 The sludge remains on the sur­face of the belt, which then pro­ceeds through a series of rollers that com­press the sludge and squeeze the remain­ing liquid from it. At the end of the press the sludge is scraped off the belt into a hop­per where it is col­lec­ted for fur­ther treat­ment. 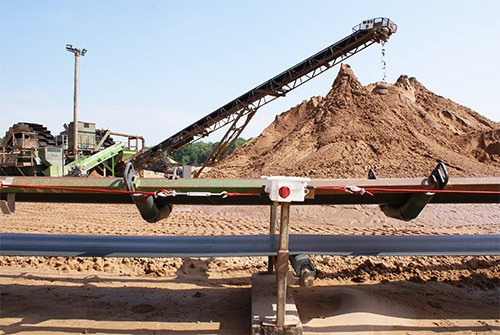 Dia­gram of a belt fil­ter: sludge in the feed hop­per is sand­wiched between two fil­ter cloths (shown green and purple). Flu­id is extrac­ted ini­tially by grav­ity, then by squeez­ing the cloth through rollers. Fil­trate exits through a drain, while solids are scraped off into a con­tain­er. As you might ima­gine, there are plenty of in-run­ning nip points between the fil­ter belts and the rollers, as well as between rollers. 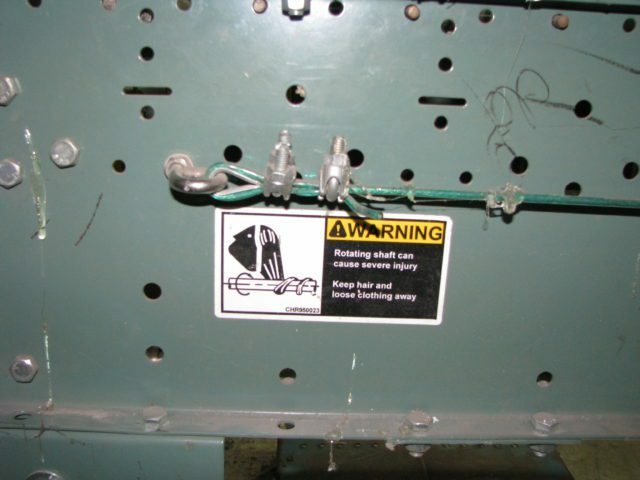 The pull cord switch in the above photo is installed on a “sludge belt-press” built in the 1950s and sub­sequently mod­i­fied. 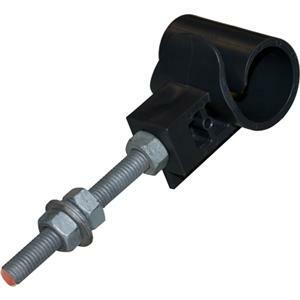 The switch used is a simple roller cam lim­it switch with the cable hooked over the roller. This arrange­ment can­not con­form with the 200 N min­im­um trip force require­ment. The switch is not safety rated. The cable itself is slack, so break­age or cut­ting of the cable could not be detec­ted. The cable is dark in col­our against a dark machine struc­ture, mak­ing it dif­fi­cult to identi­fy in a pan­ic situ­ation. There is no cable ten­sion­er. The cable turns a sharp corner through an eye­bolt. This is an install­a­tion that needs imme­di­ate atten­tion. 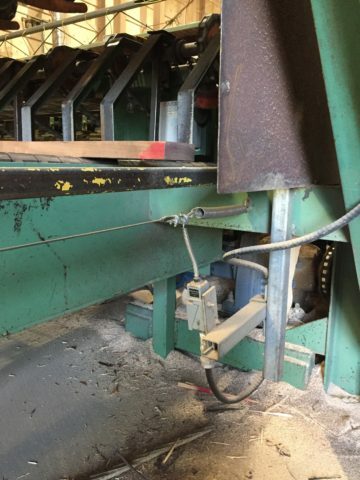 The pull-cord shown in the photo below is installed on a lum­ber sort­ing machine in a facil­ity that makes wooden indus­tri­al skids. The boards fall down the sloped ramp from centre top onto a flat belt con­vey­or where you can see the board in the centre of the pic­ture. The pull cord runs along the face of the con­vey­or struc­ture. The cable itself is dark in col­our against a dark machine frame and is loc­ated at knee height. The cable does not have any flags or oth­er mark­ers to make it more vis­ible. 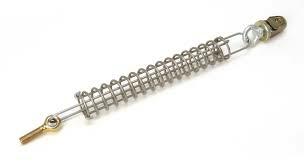 The cable is ten­sioned by a large spring, which is good, although it may be too heavy a spring to con­form to the 200 N min­im­um trip force require­ment. The switch is not pos­it­ively linked to the cable – the switch is a stand­ard lim­it switch with a spring actu­at­or. The switch is not safety rated. 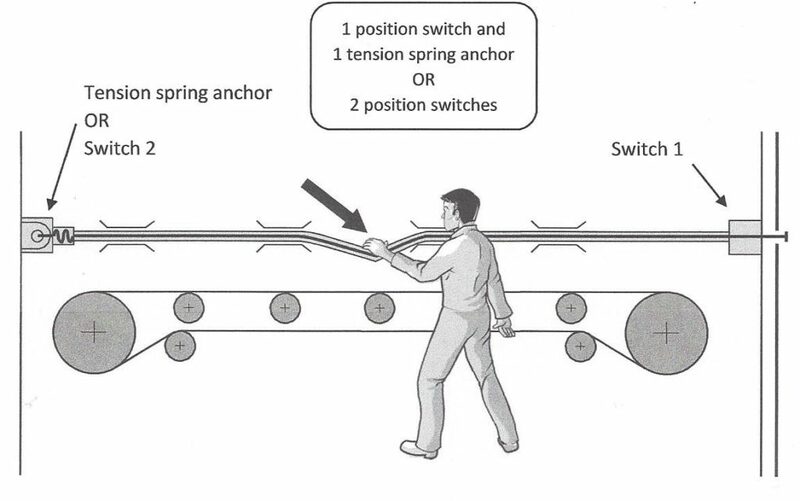 This example comes from a powered roller con­vey­or used in an insu­lated sid­ing man­u­fac­tur­ing line. The cable is dark in col­our on a dark machine frame mak­ing it hard to see. There are no flags or oth­er meas­ures taken to make the cord more vis­ible. This install­a­tion is anoth­er one that needs imme­di­ate atten­tion. 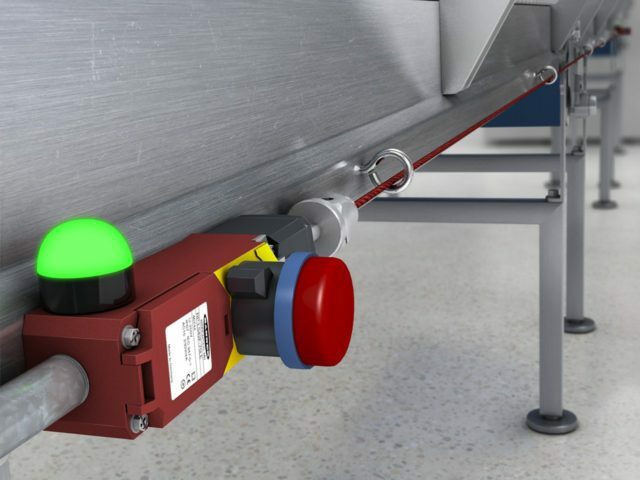 As you can see, installing a pull-cord emer­gency stop switch has some import­ant details that need to be looked after in design and main­ten­ance, and as with any oth­er safety device, there are lots of ways to do the job poorly. With some care and atten­tion to detail, you can install a sys­tem like this without too much dif­fi­culty. Remem­ber too, emer­gency stop func­tions are required to meet at least ISO 13849 – 1 PLc accord­ing to ISO 13850 . The risk assess­ment for the machine will tell you if a high­er Per­form­ance Level is needed. 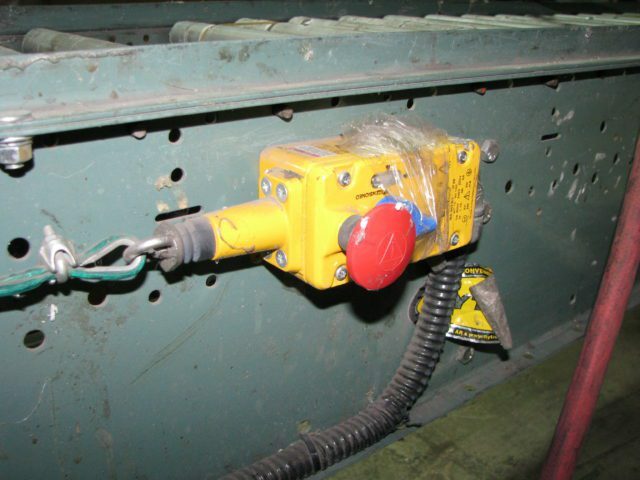 If you have any ques­tions about e-stop pull cords or oth­er machinery safety ques­tions, feel free to get in touch! We offer a 1-hour free con­sulta­tion online to help get you star­ted. Thanks to Howard Spen­cer for shar­ing the image of the sludge belt press with us, and for inspir­ing this art­icle. We do not have any com­mer­cial or pro­mo­tion­al rela­tion­ship with any of the product vendors whose products are shown in this art­icle. 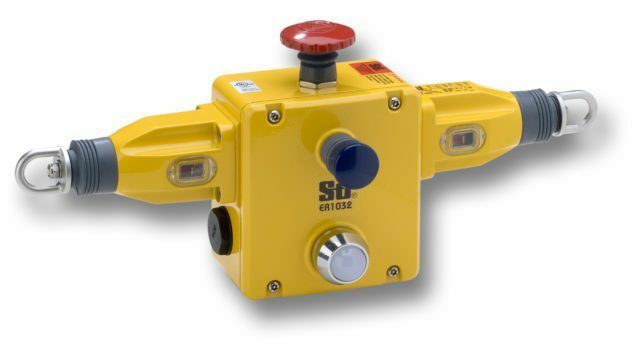 CSA Z432-04, Safe­guard­ing of Machinery. “Belt fil­ter”, En.wikipedia.org, 2018. [Online]. Avail­able: https://en.wikipedia.org/wiki/Belt_filter. [Accessed: 24- Aug- 2018]. Occu­pa­tion­al Health and Safety Code 2009 Part 25 Explan­a­tion Guide. Edmon­ton, AB: Work­Safe AB, 2009, p. 25. Series Nav­ig­a­tion Can Emer­gency Stop be used as an “on/off” con­trol?